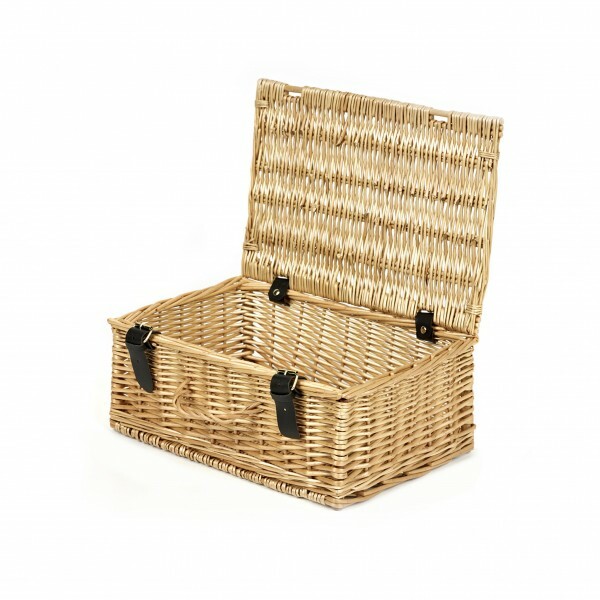 A very popular hamper, often used due to its perfect size for presenting two bottles of wine. Each hamper will hold two wine bottles comfortably. Or you can combine a wide range of other products to make a highly desirable gift hamper. 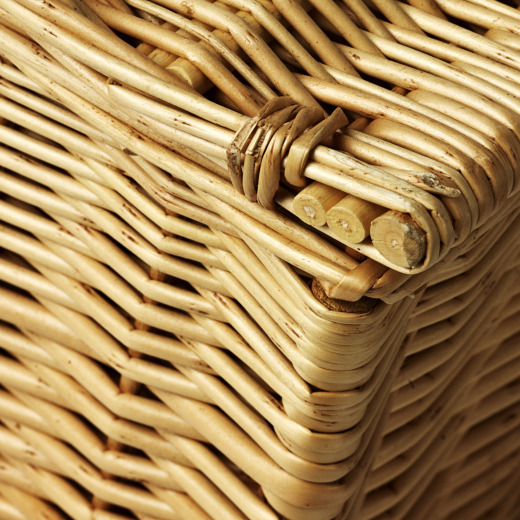 The real leather straps and hinges offer secure and stylish finishing while the wicker handle, woven into the body of the hamper, is more than strong enough to carry the contents safely. 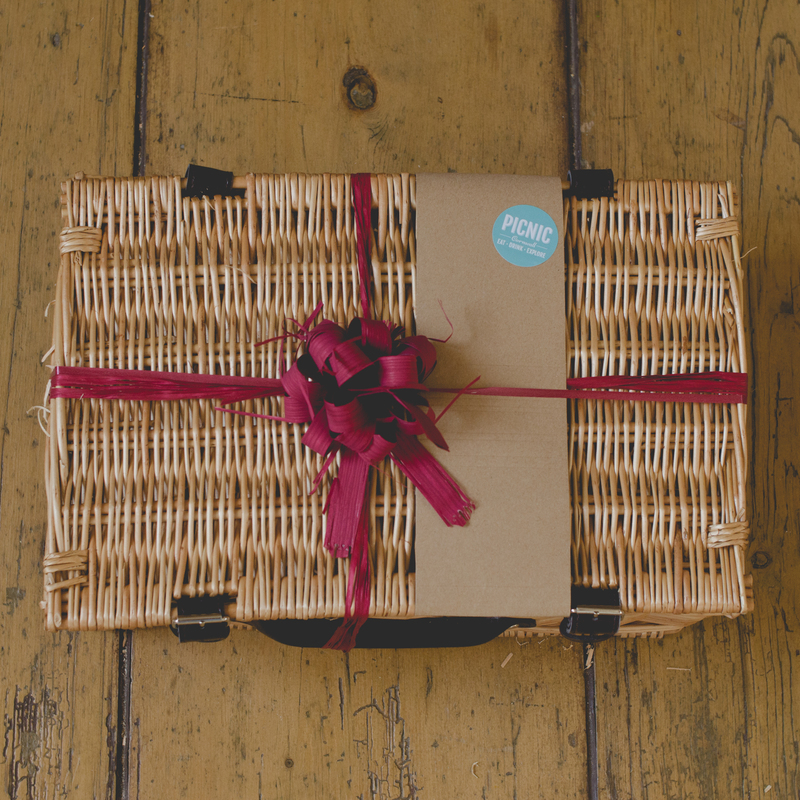 All hampers are hand-woven and carefully finished to a high standard to help you create a quality gift package.